Home Clubs Mlungisi to be Interviewed on Icora FM in Eshowe! Mlungisi to be Interviewed on Icora FM in Eshowe! Last year, through the initiative of the Premier’s Priority Project and in conjunction with Youth Education Specialists from the Department of Education, two right brain trainings for teachers and learners were held at Magudu Lodge in Pongola. 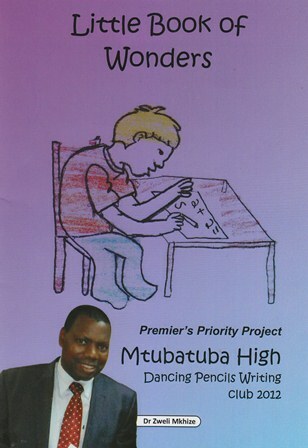 A wonderful letter of appreciation came to Dancing Pencils from Mlungisi Myeni, of Mtubatuba High School. This letter was published in our first Dancing Pencils Creative Writing Magazine. Mlungisi also had two contributions published in the Mtubatuba High Dancing Pencils Writing Club anthology, published in November 2012. This book was called “Little Book of Wonders” and is amongst the club anthologies that will receive prizes from the Dancing Pencils Literacy Development Project board at launches in September. On Saturday 4th of May, Mlungisi is excited to be going to Eshowe where he will be interviewed by Icora FM. These arrangements were made with the cooperation of Qaphi Putsoane, Chairperson of Icora FM. 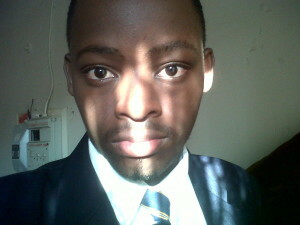 We wish Mlungisi all the best for a new experience!